House at Roo Corner: Write about your passion, they say. It is possible that We are not entirely unbiased on this subject but, Rescue dogs (but, y'know, the species is really irrelevant) have been in my life since, well, Day 1. Literally, since Day 1 of Me. The Trousers has dedicated his life to animals too. Fixing them. Learning about them & helping them. 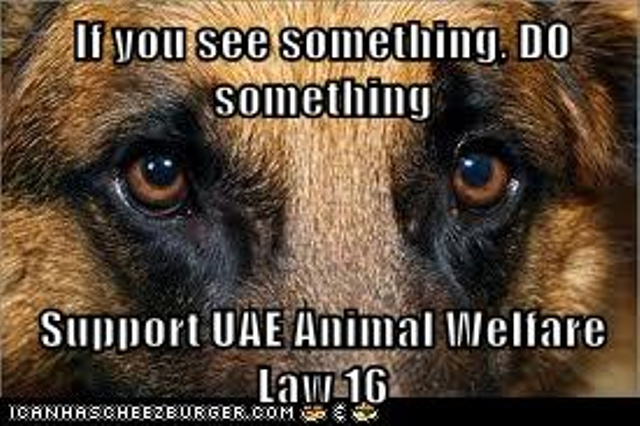 Whatever animal, seriously, WHATEVER animal he will want to try to help. If it needs fixing, he will try to fix it. Well, that's what vets do, right? So, no surprise there. Together, we use our respective skills to try to help. We have done our respective 'things' in a variety of countries, HongKong, UK & now, Dubai. Even The Kid 'gets' it already, I'm proud to say. "We need to find another dog that doesn't have a home & he can come be in our family"
Let me be clear, cruelty to animals happens EVERYWHERE. It is important we remember this. HOWEVER, it is undeniable that there is still a disparity in legislation or priority given to repercussions when cases are brought to the attention of the relevant authorities, depending on the country. b) the country's national economic situation & the strain its people are under. Feeding One's children or saving Oneself from the risk of rabies, for example, are not unreasonable priorities. 3) Other sentient beings (doesn't matter how many legs, doesn't matter if furred, feathered, scaled, whatever) deserve RESPECT. You don't have to love them. Just respect them. 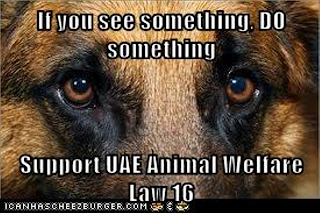 Recently, there have been a number of very upsetting reports of animal cruelty here in Dubai. It is a really good, comprehensive, thorough law but, the seeming lack of interest in enforcing the Law frustrates many. Things will improve & many here will, hopefully, see the campaign "If you See Something, DO Something' over the next few weeks. By the way, this seems a fairly reasonable mantra to have, wherever you are. Whatever the species.